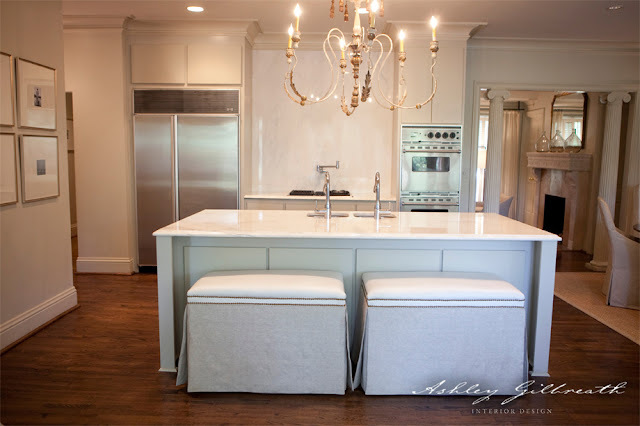 So glad you like our kitchen design & stools! Thanks for sharing! I really love them and the styles are great; for the kitchen I just don't know how comfortable being backless! Love them and I am dying over the chandy in the first picture. Emi, would you mind sharing source? I think they look beautiful in those photos, but would probably be less than comfortable for any length of time. I'd also make sure that whatever's under the slipcovers is something you want to look at too (or get 3 sets of them), 'cause if your house is like mine, they're going to spend a LOT of time in the laundry. *sigh* The sacrifices we make for practicality. could you possibly be more vain? Ive been thinking of doing the same thing, but where do you find them might enough to be like a bar stool? Please share. I'm laughing at the "could you possibly be more vain". Like excuse me if we like our homes to look good. that's great if you want your home to look good, so do I. But blogging about what bench you should have, and how beautiful your cabinets are, showing price tags and bascially bragging about how much money you spend. Ick. Please do not feel obligated to ever read my blog again. Have a blessed day! 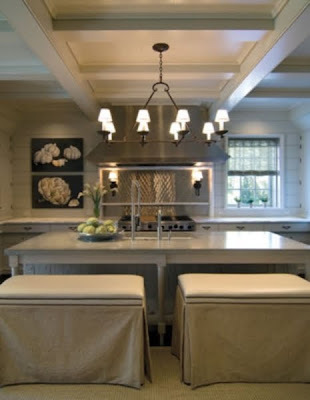 i think your your kitchen revamp is coming along fabulously. i for one LOVE reading your blog for inspiration and ways to bring fresh ideas to my own home. i can't say i agree with the previous post... "bragging about money"? really??? umm, how about giving people an idea of different price points for look alike items. please keep up the blog, i can't go a day without reading it! also, please ignore the hateful comments. jealousy is an ugly thing. I love the look of them, but I would strongly discourage them for one main reason... They are such a pain to move in an out to get comfortable and especially if they seat more than one person. Go into a store and have you and someone else sit on a bench and then try to move it to the same place to make you both comfortable. Very impractical, but they look great. Test it out first. Especially one person wants to get off, needs to be moved, etc. Kris m, I totally see your point. Maybe if she used 2 benches like in the inspiration photos it wouldnt be so bad? And to the poster with the ugly, unnecessary comments: you realize this is HER blog and she can post on whatever topic she pleases? Who thinks its ok to hide behind a keyboard and call someone vain on their blog page? If you dont like what you are reading, there are plenty of other blogs you can visit! Keep doing your thing Shelli! I cant wait to see how the kitchen makeover is progressing. I love how, if you talk about doing anything that costs money, which is EVERYTHING we do, seriously, giving to charitable organizations cost money, people assume that you are bragging. It is not bragging, how else are you supposed to post about the things in your life without actually posting about them?! Home renovations aren't free, some crazy person decided to make a profit, so here we all are....reading to get ideas and tips. I suppose she could try to do a home reno without spending money, maybe barter or hunt down the items needed at flea markets, but then she may never be able to finish as it just doesn't happen that way!!! Quit being mean, you are giving Anonymous a bad name! Thank you for the support my friends! Onward and upward! I'm sure you could slipcover them. I've had everything from a couch to a recliner slipcovered - I love being able to wash them. What about Franklin Slipcover Company? They must be close to you. She does fabulous work. I really love the kitchen and styles you have choosen. 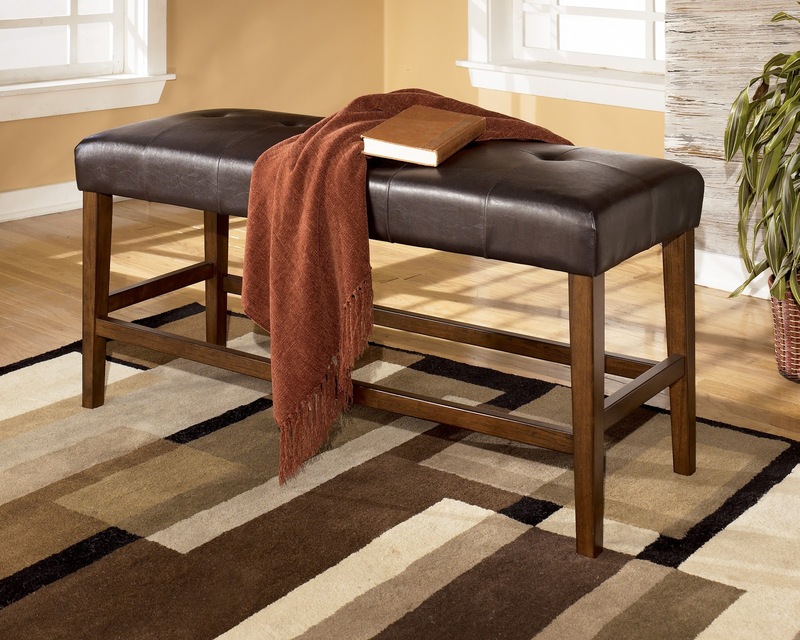 I had a leather long foot stool once, when friends came over and there were no chairs, we used it as as bench and it was everyone's favorite to sit, no back was actually good!